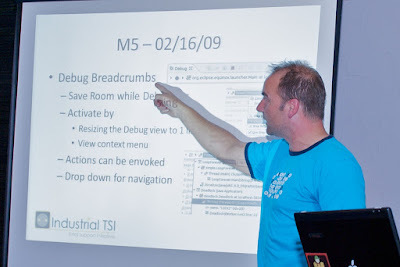 Yesterday Industrial TSI hosted the Galileo Demo Camp. Organization was handled perfectly by Yuri Kok and Wim Jongman. 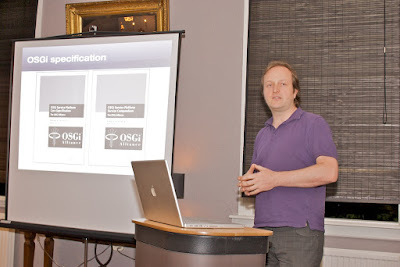 We had Wim Jongman talking about new and Noteworthy in Galileo. 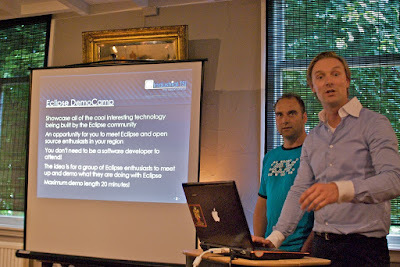 Alexander Broekhuis of luminis talked about MDA Tooling in Eclipse/RSA as used by Thales. 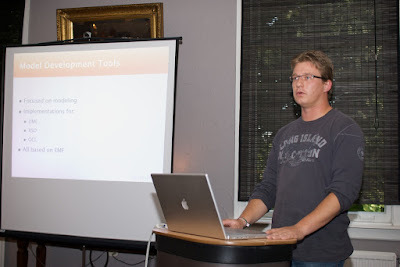 Jos Warmer of Ordina talked about Mod4j, a tool for making horizontal DSL's. 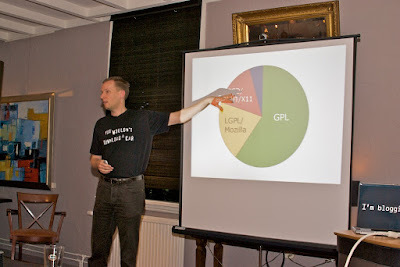 Arnout Engelfriet talked about Open Source licenses and the consequences of their use. 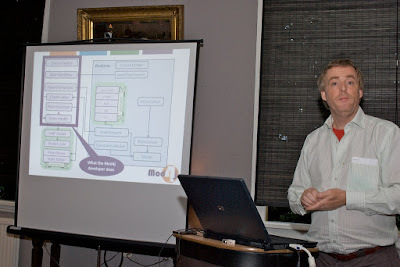 Marcel Offermand & Dennis Geurts of luminis talked about OSGI and Equinox. 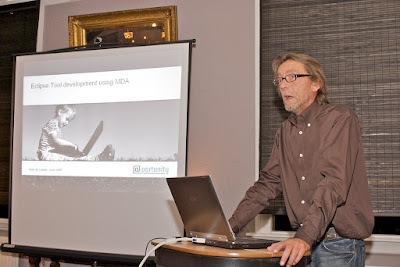 The evening concluded with Koos de Goede of @portunity talked about Bleuprint, their tooling to make domain specific MDA tools. Unfortunately their Community Edition only works on Windows: no LInux, no Mac OSX. Thank you for a very informative evening and the food and drinks!